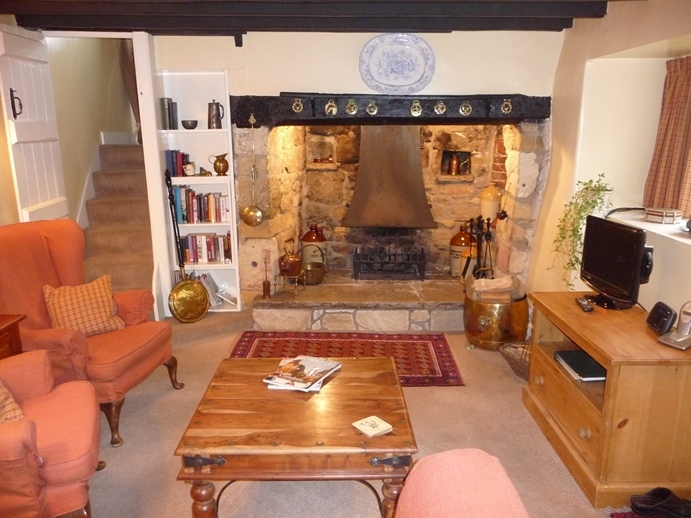 The living area comprises a dining area and a sitting area with an inglenook fireplace and open log fire. The sitting area has a cosy, comfortable atmosphere and is ideal for relaxing after a hard day of touring the many attractions in the Cotswolds. There is a TV/DVD and some boxed games for your use. 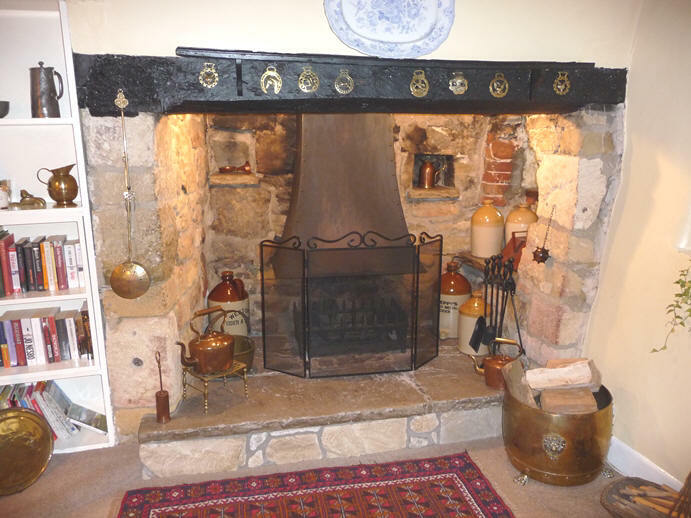 You can really appreciate the charm of this beamed room, especially on colder days when the opportunity to have a blazing log fire in the inglenook fireplace may prove irresistible. 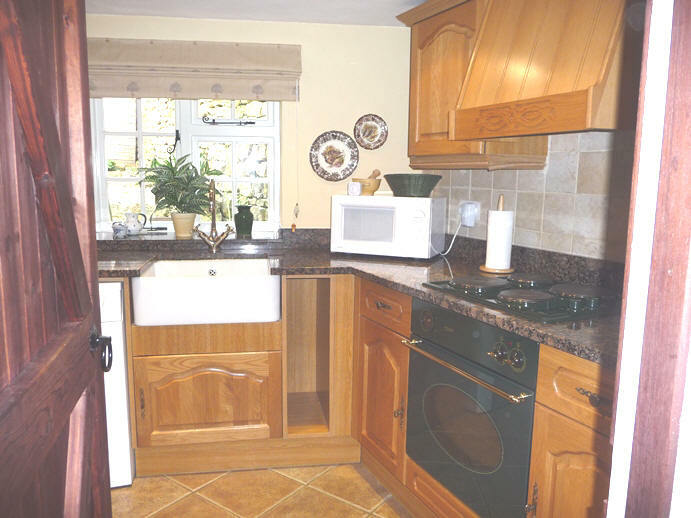 The kitchen is well equipped and has an oven, hob, microwave, fridge with small freezer compartment and a washer/dryer.